We have been talking about this mysterious phone that is headed to Verizon called the DROID Fighter for about a month now. Dirty details have escaped us for the most part other than a potential release date of April 12. Some had speculated that it would end up as a Motorola device, but with the crazy number of phones they released over the last 6 months, it was tough to believe that they could possibly be back with more. In the end, it looks like they may be after all. 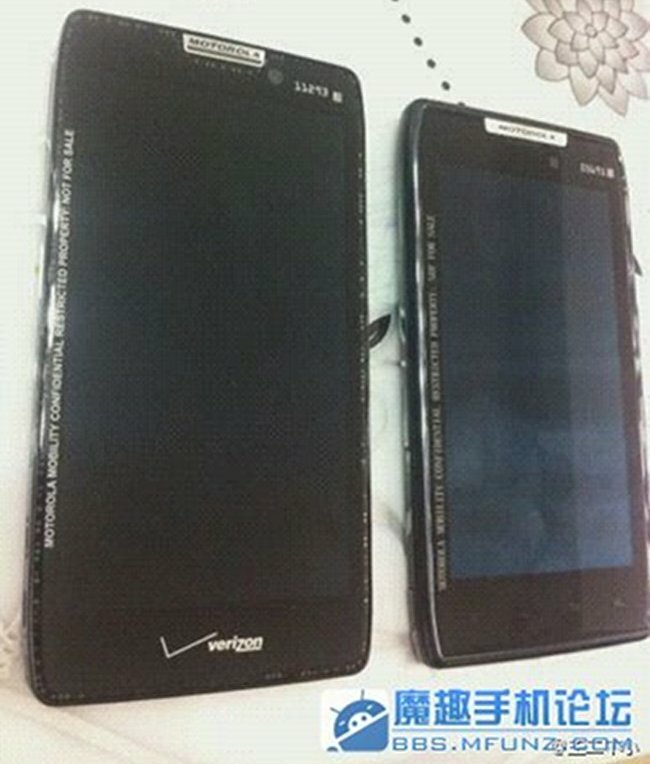 Notorious Moto phone leaking forum Phone HK posted up a photo this weekend that they are referring to as the DROID Fighter, made by Motorola. 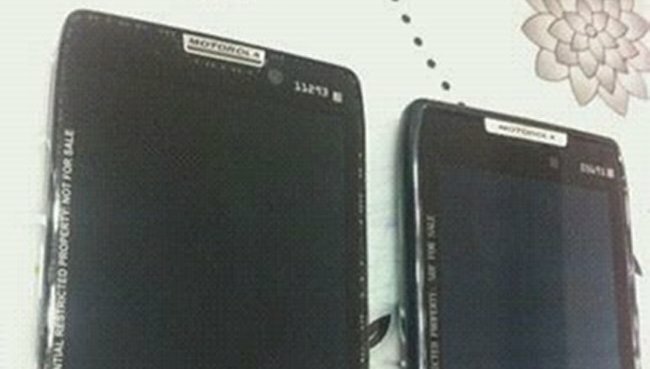 As you can see, the phone looks almost identical to the DROID RAZR except for one major change – the bottom row of soft keys appears to be gone. Included with this picture was a spec that read “4.6-inch HD” screen, leading us to believe that this phone will have on-screen soft keys just like the Galaxy Nexus. As you may recall, the Galaxy Nexus has a 4.65″ screen, but .35″ of that is for the on-screen keys, so for the most part it’s a 4.3″ screen. Now, those keys will hide at certain times or with specific apps (like Youtube) so that you can experience more screen real estate. This Fighter phone with its 4.6″ screen could easily be allocating .3″ to on-screen keys. It’s an amazing concept that we wish all phone manufacturers would adopt. To see Moto make the move is exciting, especially after the issues many of you had with the hefty chin and bezel that was included on the RAZR. What else can we gather? Well, “HD” screen is new for Motorola in the U.S. We went hands on with their Chinese HD RAZRs back at CES and figured they would make the move to our shores at some point. The HD screens that Moto used in these two devices is something beautiful, so this phone should be grabbing your attention. There was also a mention of it having the 3300mAh battery that the RAZR MAXX has. What I’m struggling to understand though, is why release another RAZR variant? This would be the third version in about 6 months time. Sure, the upgraded HD screen is nice, and the idea that it will also have Ice Cream Sandwich at launch is fun, but couldn’t this have been the RAZR MAXX? Just like the RAZR MAXX should have been the RAZR? Oh and another random thought to ponder – if this phone is coming in April, anyone willing to bet that it is Moto’s first ICS phone before any of their current lineup sees an update? I’d put money on that.